The report said it could be in use as a working site as early as 2023. The project also revealed the Pentland Firth, near Caithness, and the Dornoch Formation in the Moray Firth as a “promising” site close to three “strategically important” North Sea pipelines. But the report ultimately ranked the North Sea’s East May and Captain Sandstone formations as the top storage sites. A saving of almost £650 million through repurposing hundreds of existing North Sea pipelines would also lower the cost to any future project, the study claimed. North-east Labour MSP Lewis Macdonald said: “This is a very positive report which confirms the potential of carbon capture and storage for the North Sea. 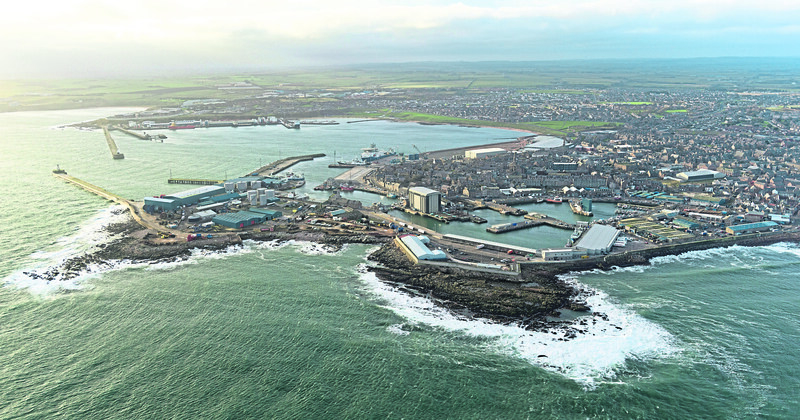 “It particularly highlights Peterhead as the key port for delivery of captured carbon from many parts of the UK and Europe. The Acorn report also claimed it was possible to decarbonise the UK gas grid in the areas of heat and transport by producing hydrogen from natural gas with CCS at St Fergus, where 35% of all UK natural gas comes onshore.